The S.C. Department of Natural Resources, in conjunction with Clemson Extension, will host a Coyote Trapping and Management Workshop at the Santee Convention Center, 1737 Bass Drive, Santee, SC on Feb. 18 from 1:30 p.m. to 5 p.m. The program will cover coyote biology, hunting and trapping regulations, and coyote management options, including a demonstration of effective trap sets by a professional trapper. The cost for the workshop is $15. The maximum number of attendees for this workshop is 50. Registration closes when 50 people have registered and paid. Registration is available online. 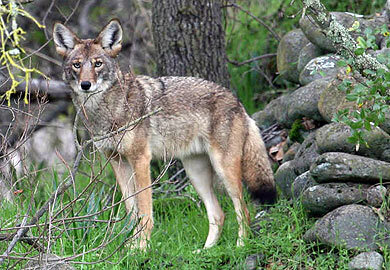 Currently, another series of coyote seminars are anticipated to be held throughout the state this year. More sites and locations are expected to be added. For information on coyotes in South Carolina and the rules and regulations associated with controlling them, call (803) 734-3886.